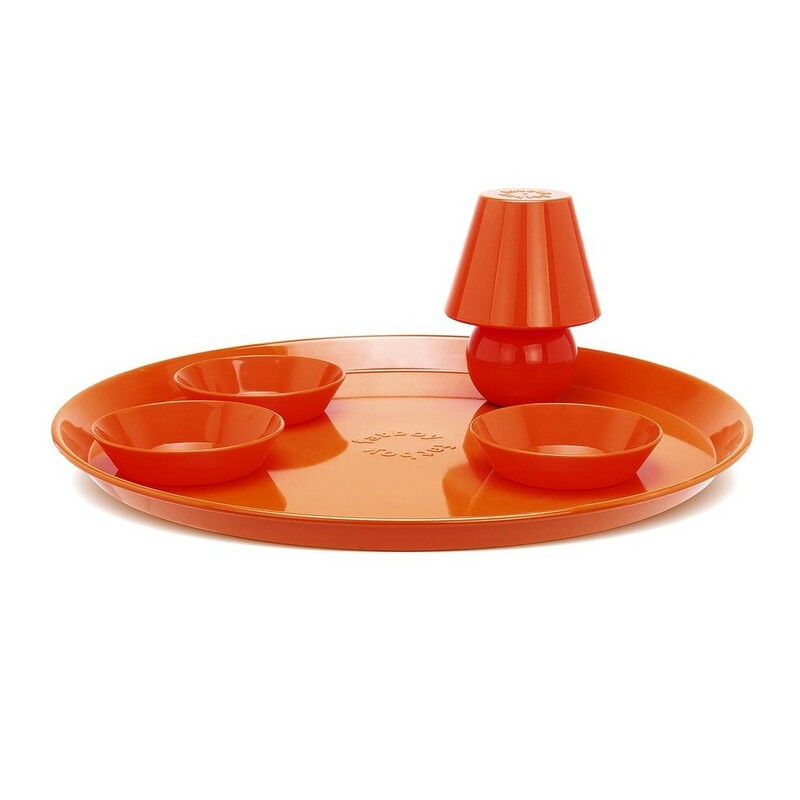 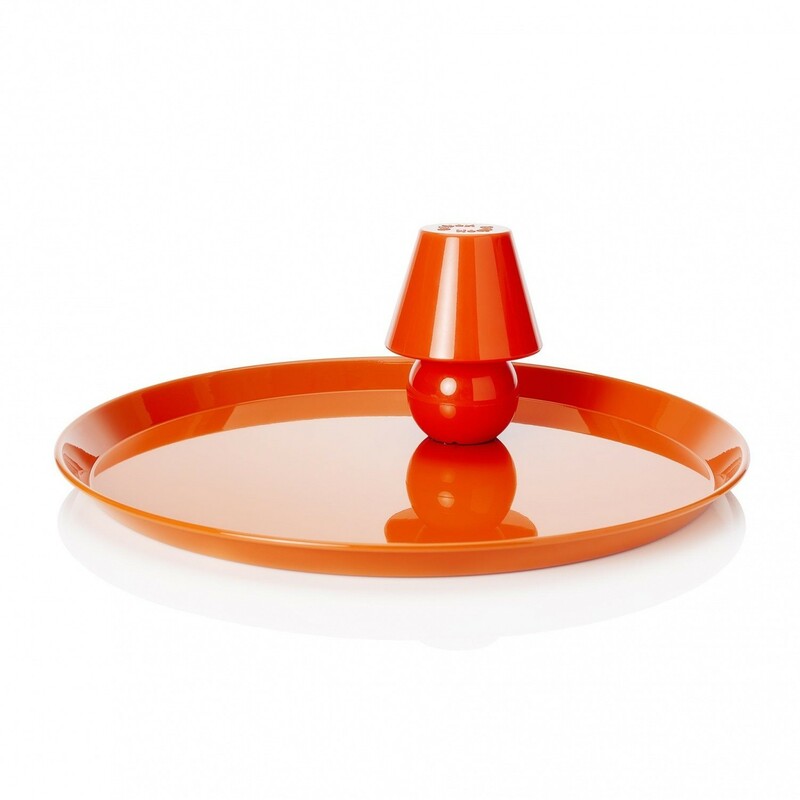 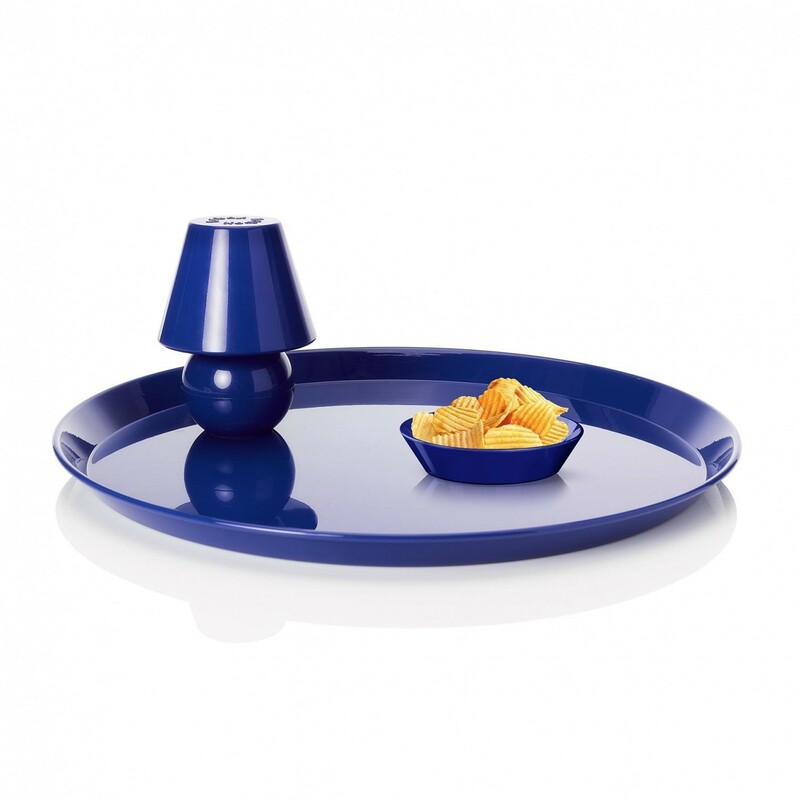 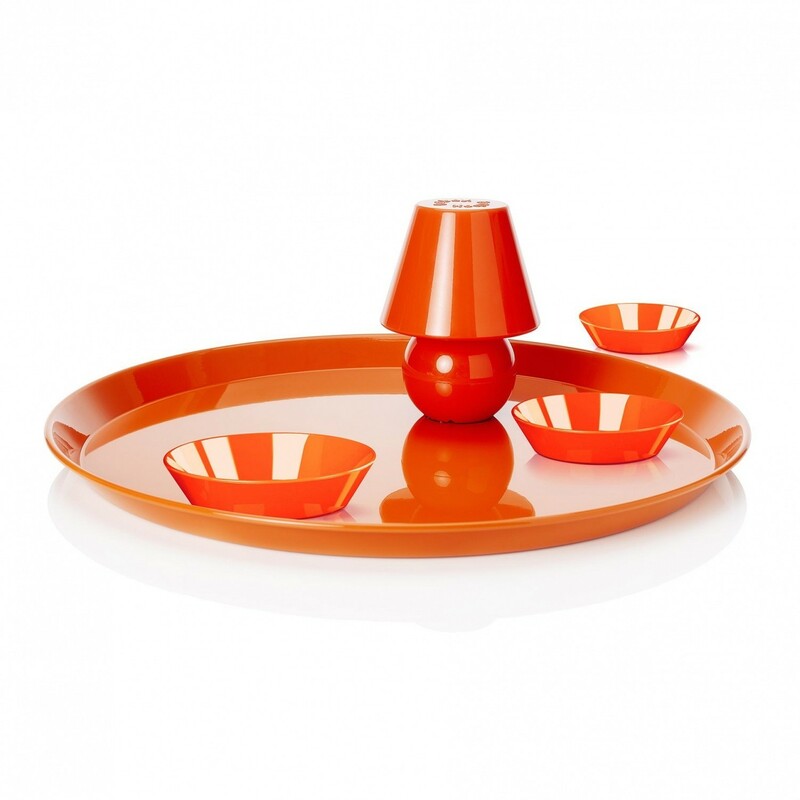 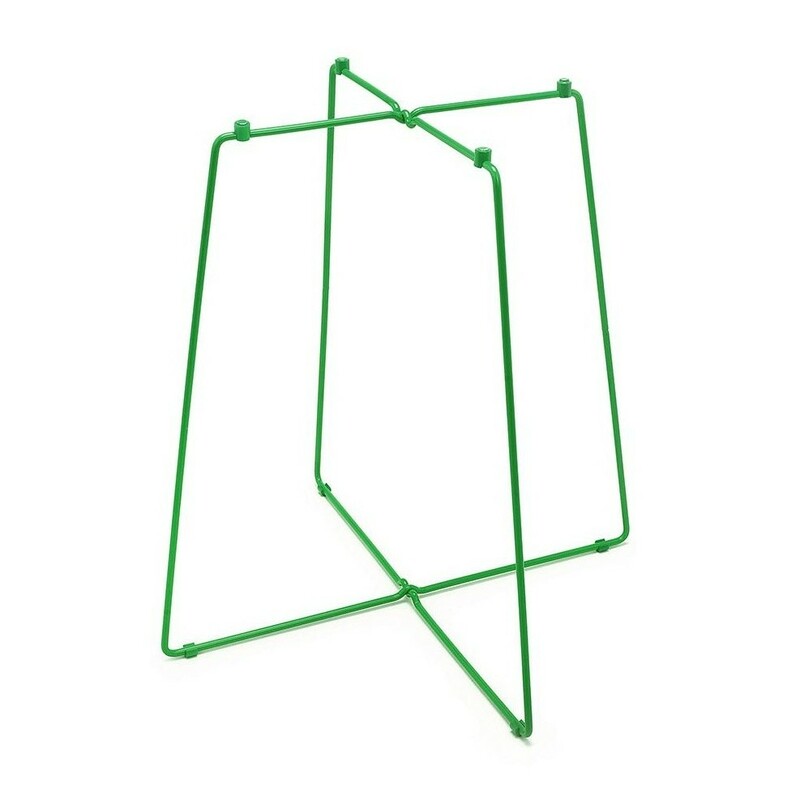 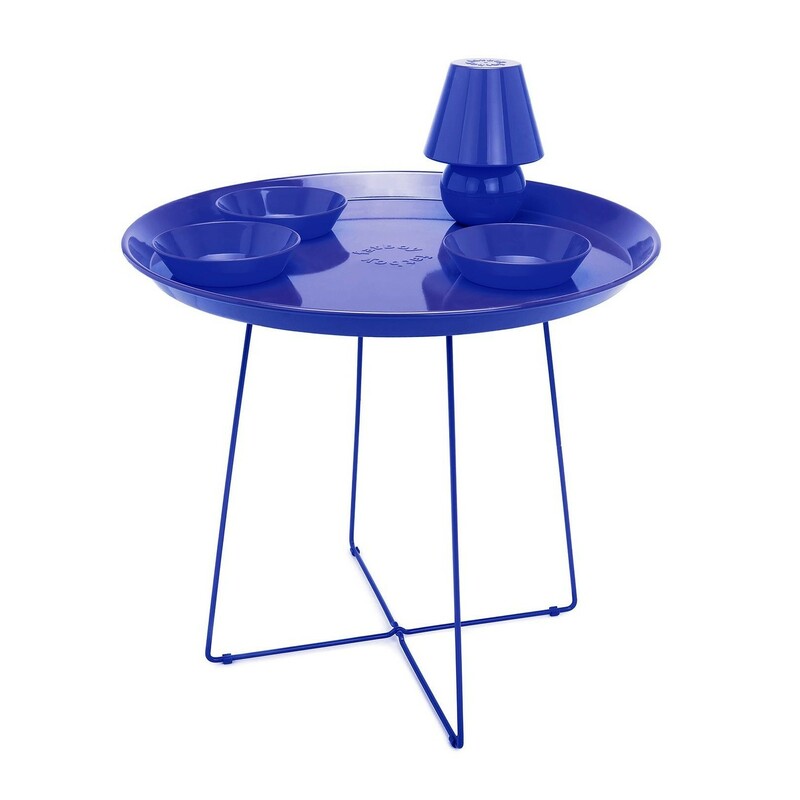 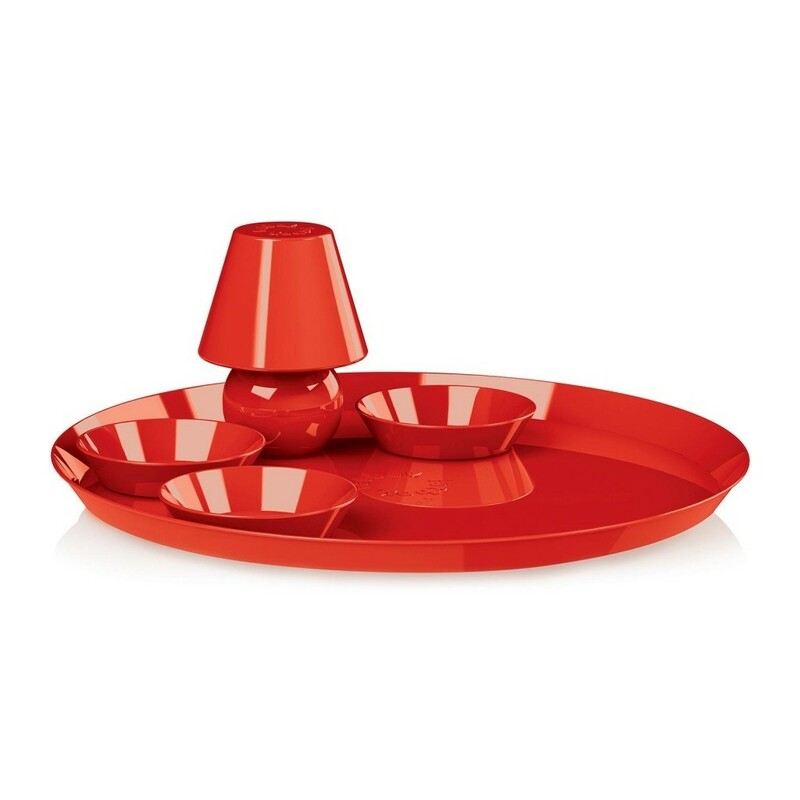 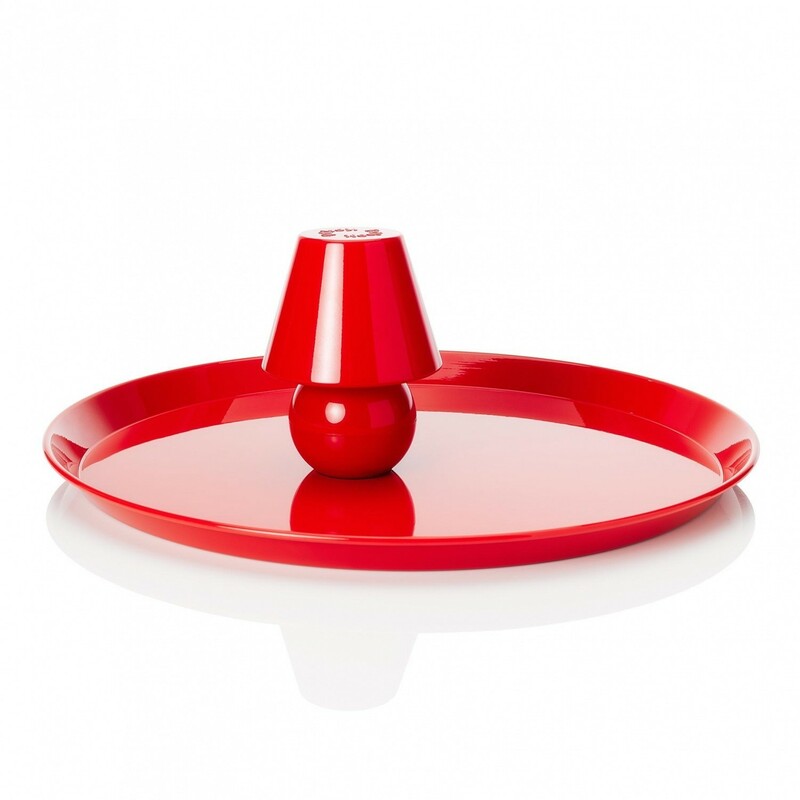 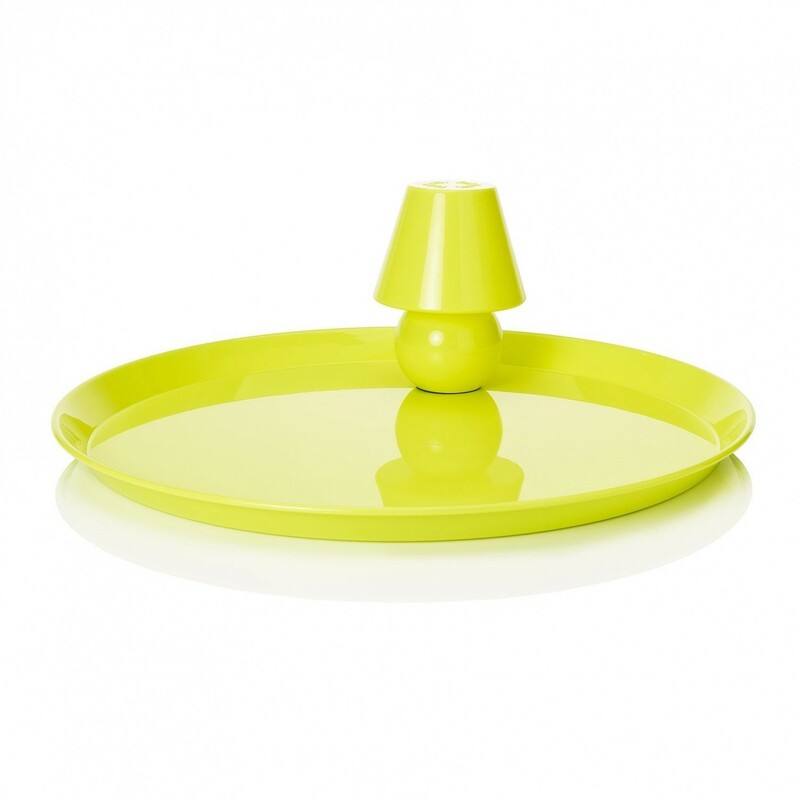 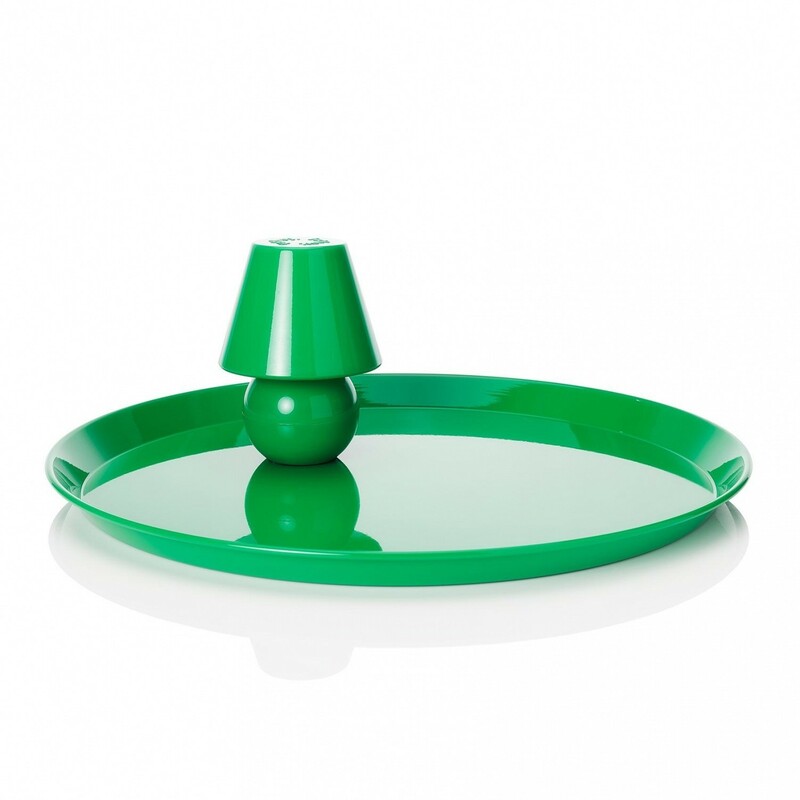 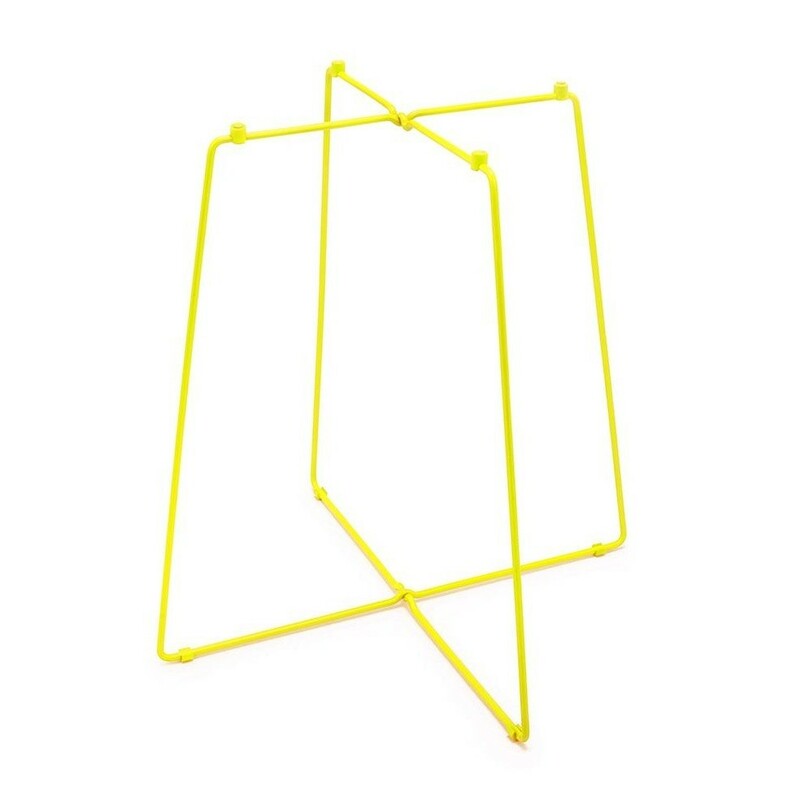 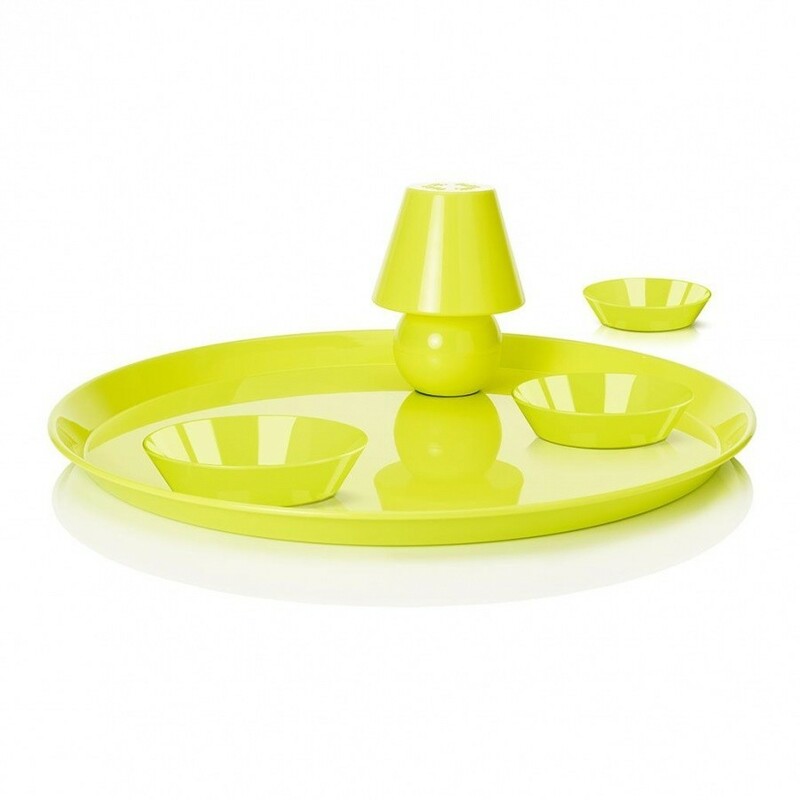 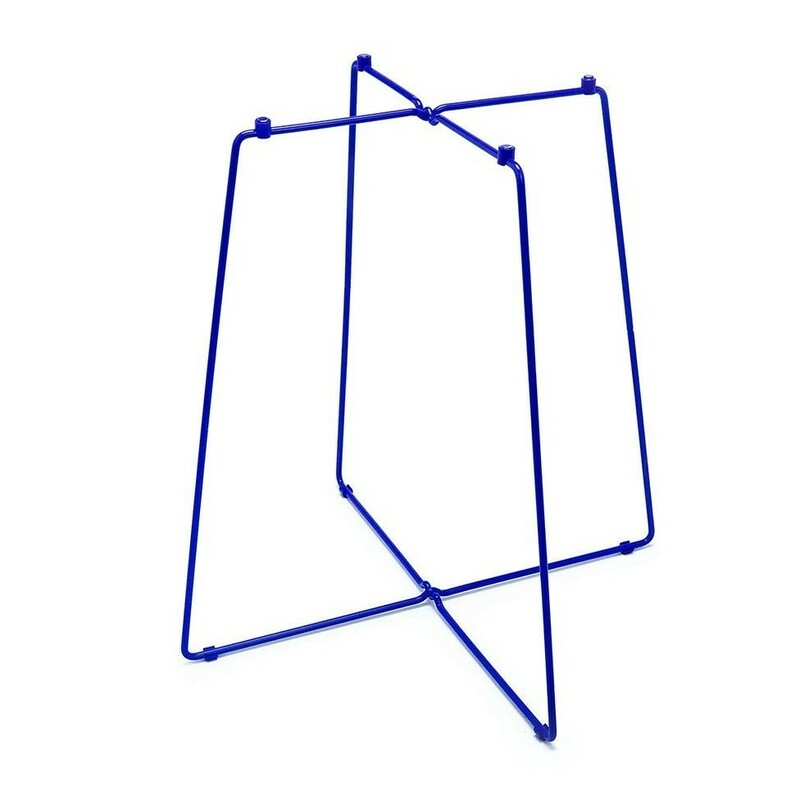 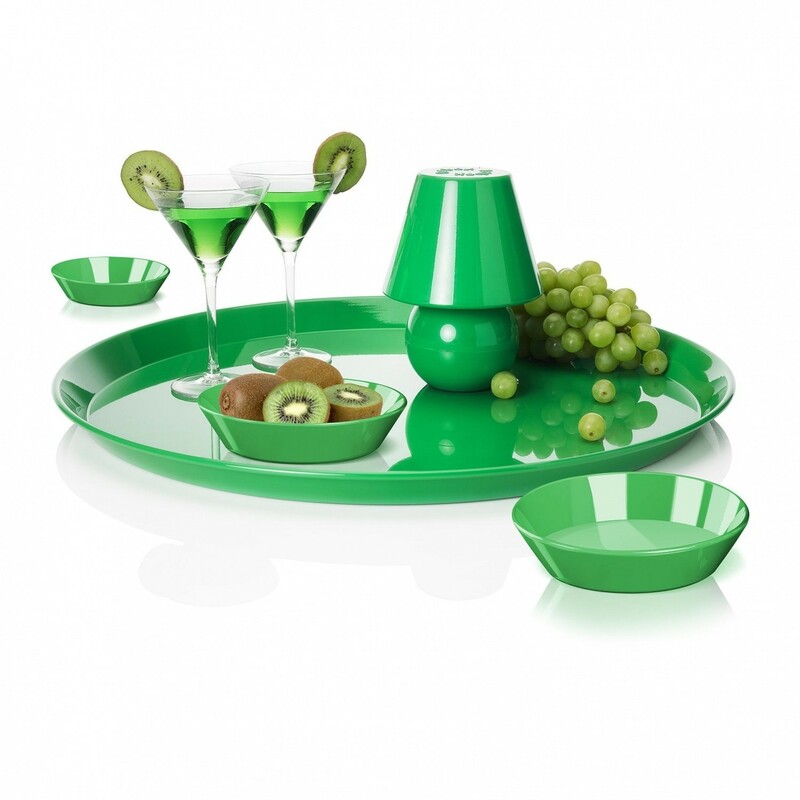 The Snacklight LED Table Lamp With Tray Ø55cm was created by the manufacturer Fatboy. 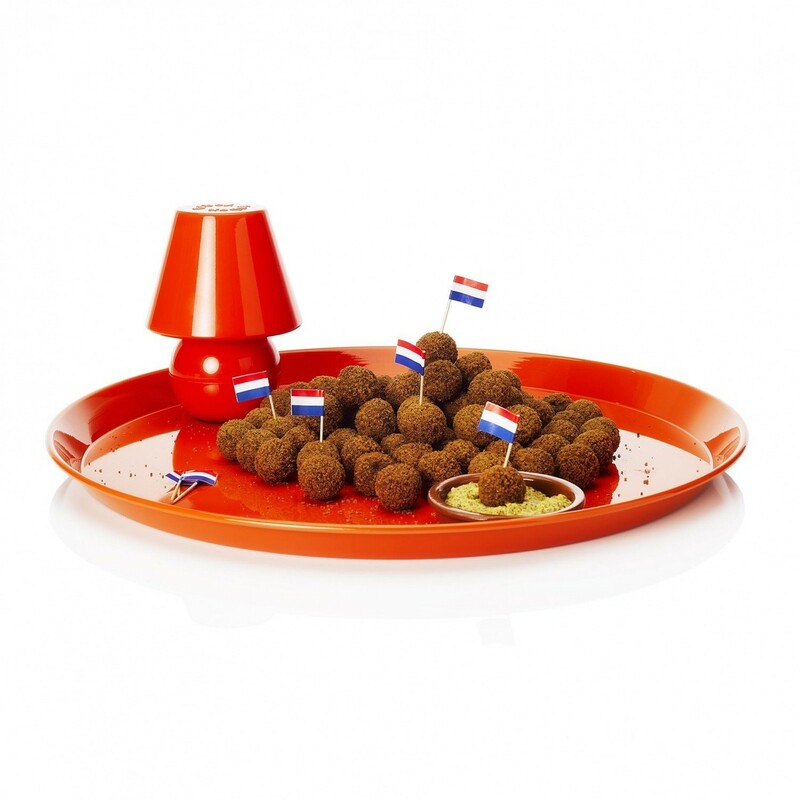 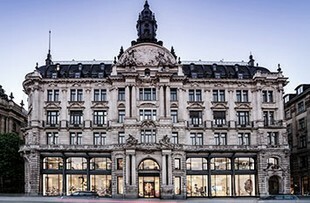 Based in the town of Den Bosch, this leading Dutch furniture and lighting company brings great design to a wide international audience with its fun, accessible pieces. 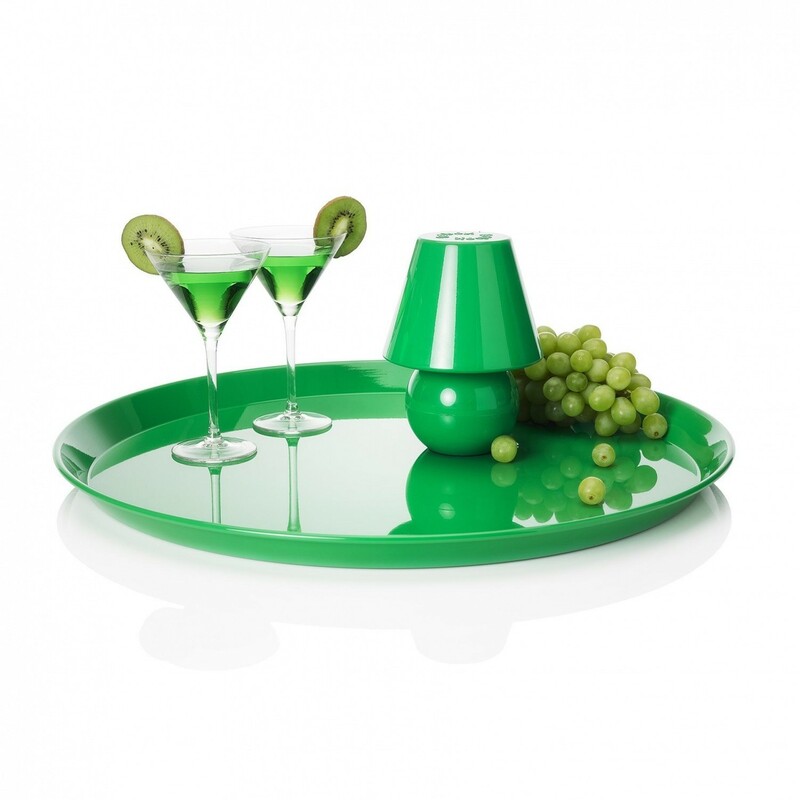 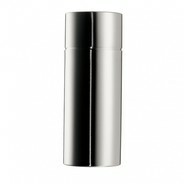 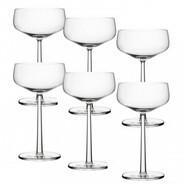 A winning mix of form and function, many of their products bring a new enjoyment to everyday activities. 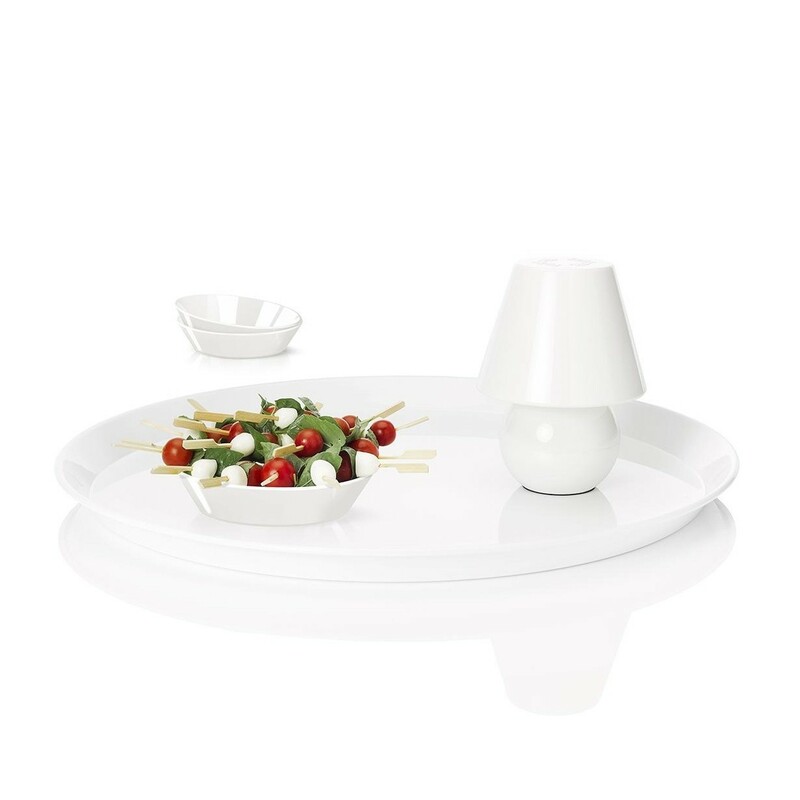 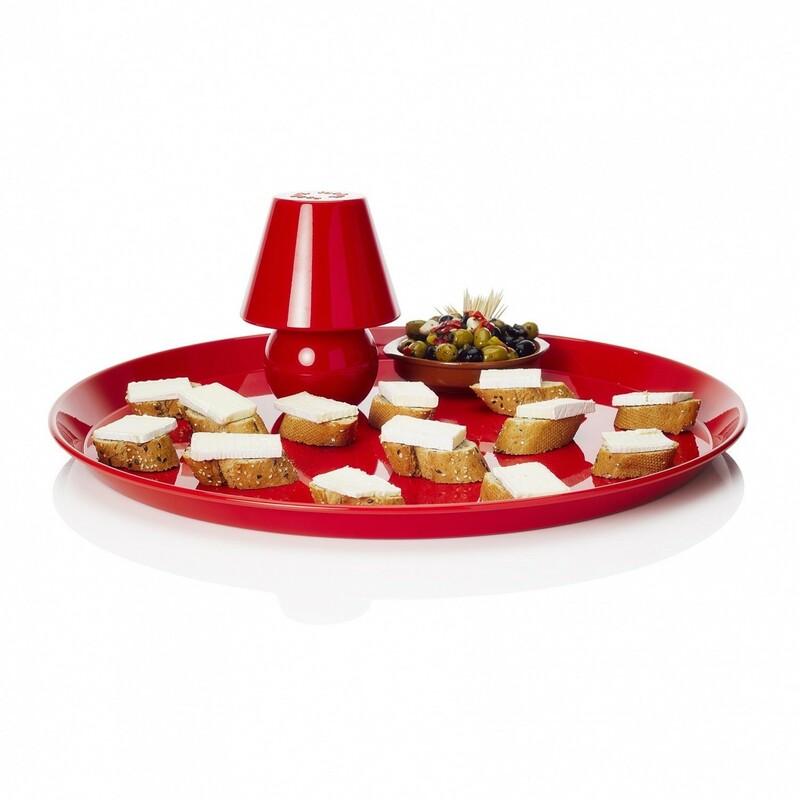 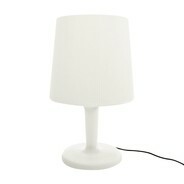 A case in point is the Snacklight LED Table Lamp With Tray Ø55cm from Fatboy. 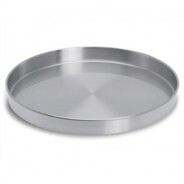 The centrepiece of this set is the metal tray measuring 55cm in diameter, with a 3cm raised edge. 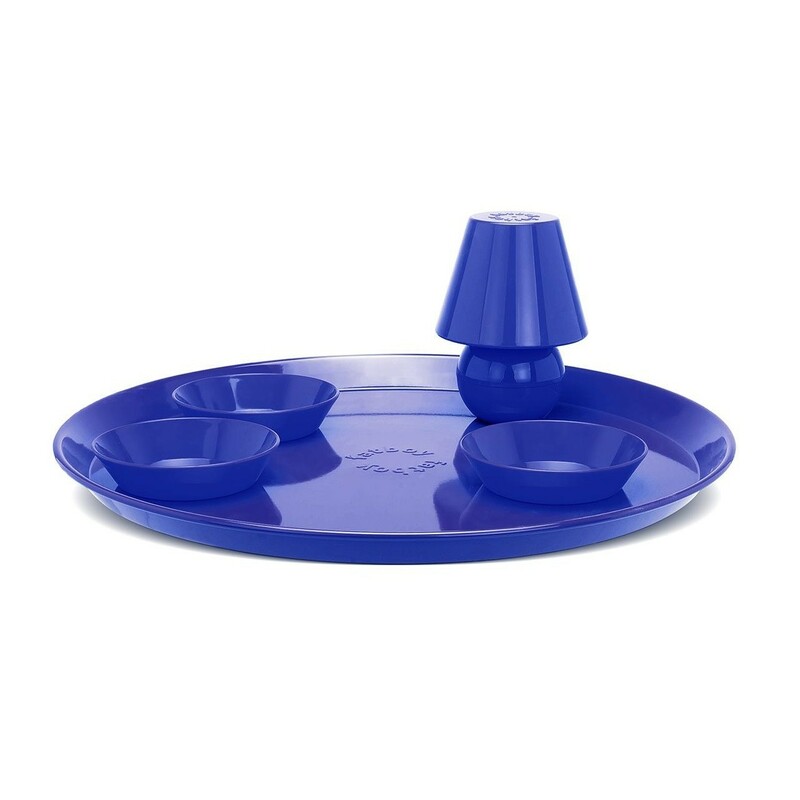 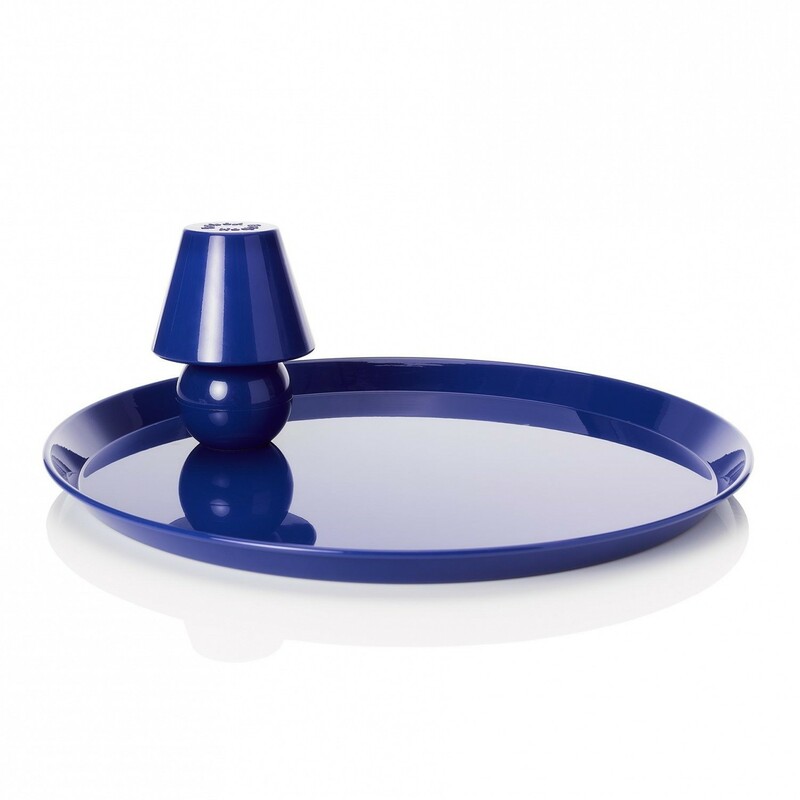 This comes with 3 bowls equipped with non-slip bases to prevent them sliding around when the tray is being carried from place to place. 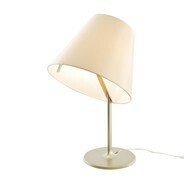 Wireless and fully rechargeable using a USB connection, the lamp is 18.5cm in height and 13.5 cm in diameter. 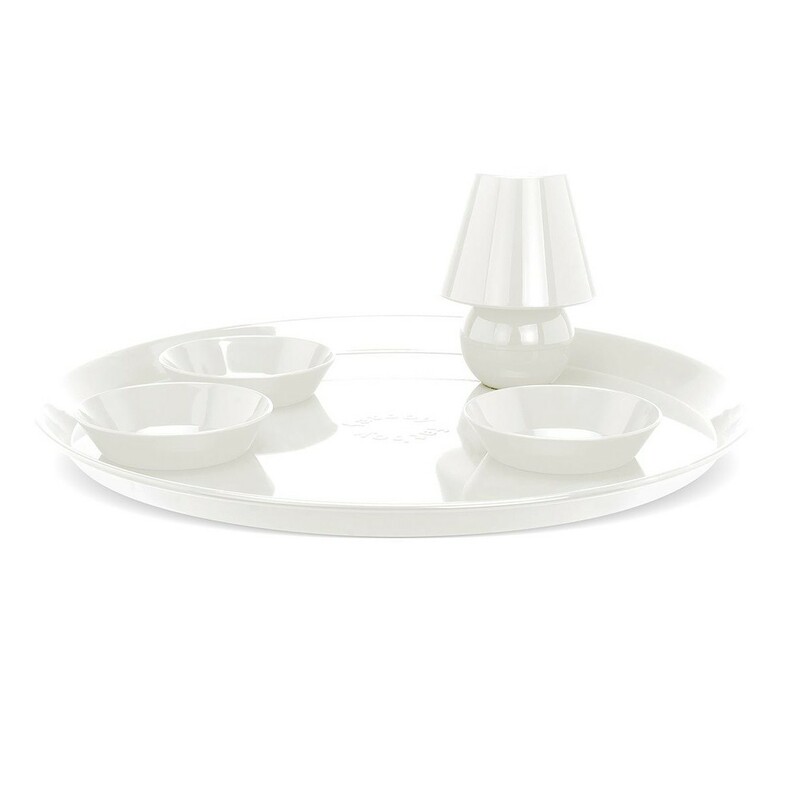 It attaches magnetically to the metal tray and features a dimmer with 3 settings. 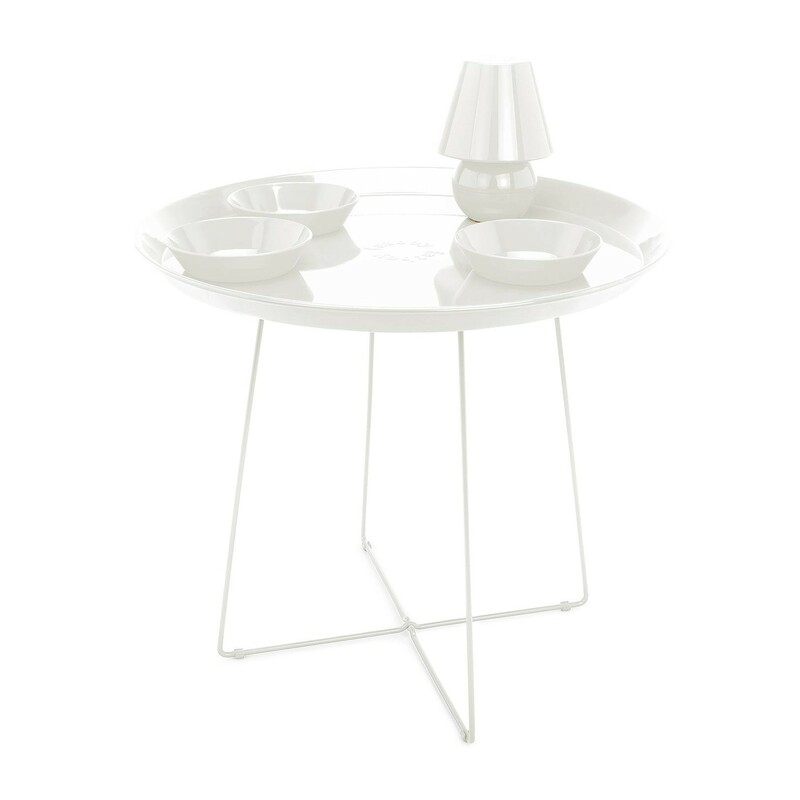 The entire set comes in a selection of vibrant monochrome hues. 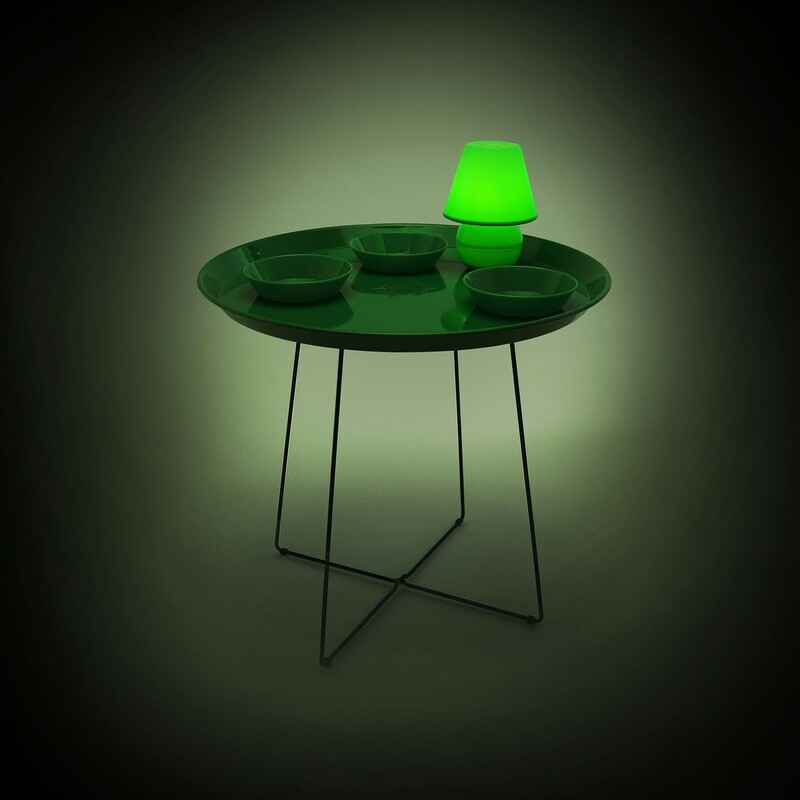 Rugged, water resistant, easily portable and providing warm, soft illumination, the Snacklight LED Table Lamp With Tray Ø55cm is ideal for sitting outside with drinks and nibbles after the sun has gone down. 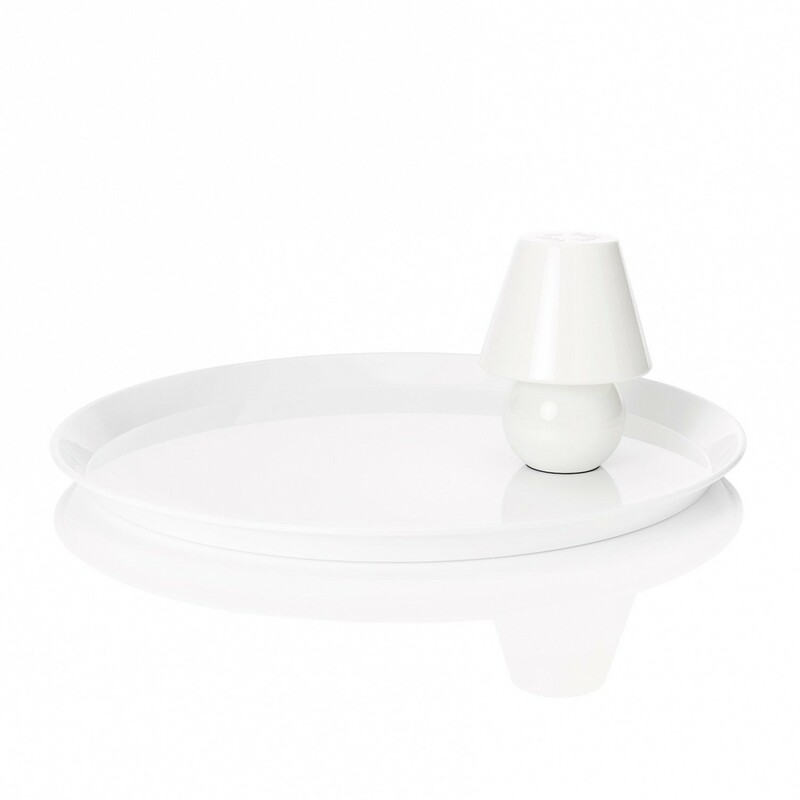 This luminaire contains built-in LED lamps. 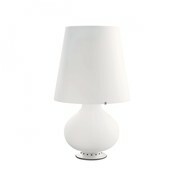 The LED lamps cannot be changed in the luminaire. 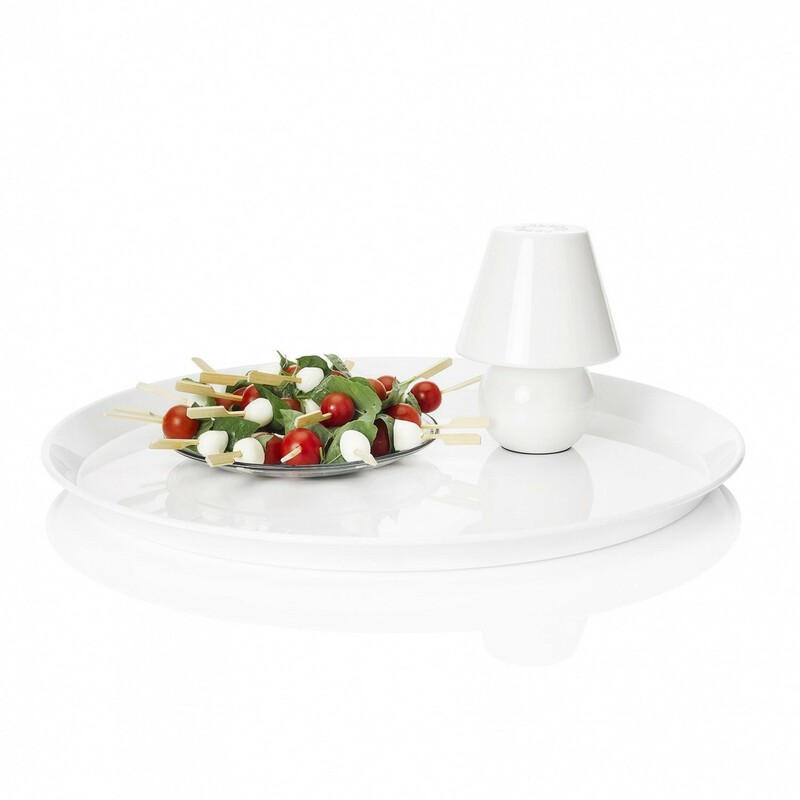 - With the integrated magnets the lamp can be affixed on the metal tray. 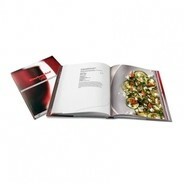 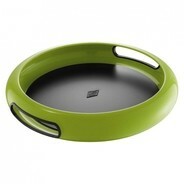 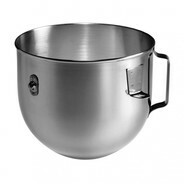 - The small bowls have a non-slip underside. 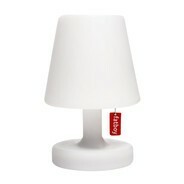 - The lamp is protected from dripping water. 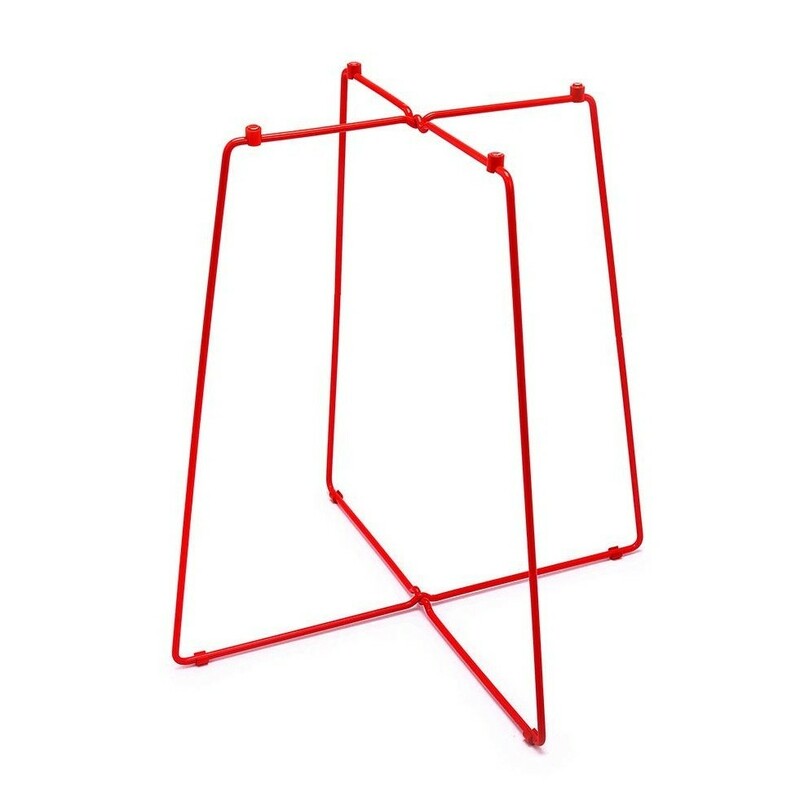 - With USB charging connection.